Pretty good card overall. Stage 2 is unfortunate and makes it a bit slow as well as only dealing 90 dmg isn't super strong but it is solid dmg overall. Has the ability to snipe very weak enemies before attacking or maximizing its dmg to 110 which is much more formidable. 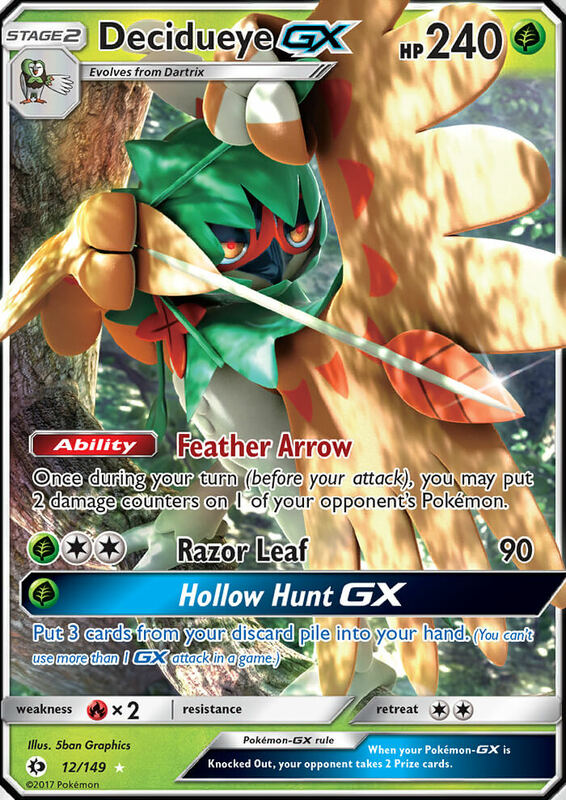 Hollow Hunt does provide a lot of utility by allowing access to cards you desperately need and allows you to place them back in your hand if you lost something really important to your strat but there are MUCH better GX attacks out there. 240 HP is nice so it can at least soak up some non SE hits.